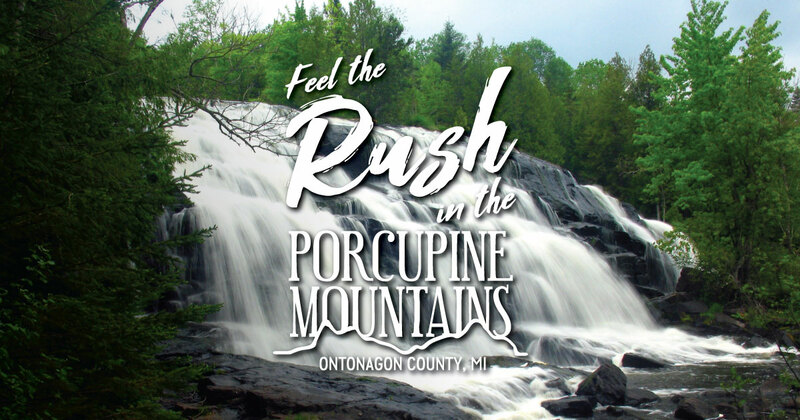 Feel the rush in the Porcupine Mountains this spring as the area awakens from its winter slumber. The Porcupine Mountains’ numerous waterfalls offer a dazzling show as winter snowmelt powers rushing waters from rivers large and small into Lake Superior. Popular waterfall stops include Manabezho, Manido and Nawadaha falls on the Presque Isle River in the Porcupine Mountains Wilderness State Park, as well as nearby Bond Falls and Agate Falls. Spring visitors can also take in the sights at Lake of the Clouds, one of the most photographed spots in the Upper Peninsula, or try their luck at one of several well-stocked fishing spots. Animals and birds also make their reappearance after the long winter, and the Porcupine Mountains offers outstanding wildlife viewing and birdwatching opportunities. Choose from one of the Porcupine Mountains’ affordable lodges, resorts or motels and launch your spring adventure today.